I like to be impressed. I like to be inspired. Who doesn’t? 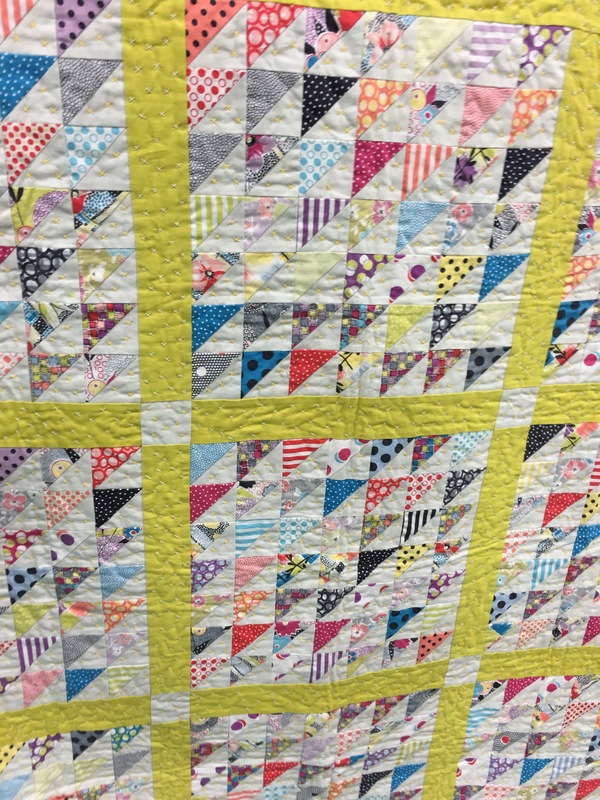 Spring Quilt Market didn’t disappoint last weekend. The 2016 version of Spring QM was held at the Salt Palace Convention Center in the heart of Salt Lake City, UT. It was my first time leaving the airport in SLC and I liked what I saw. I especially liked what I saw within the convention center. 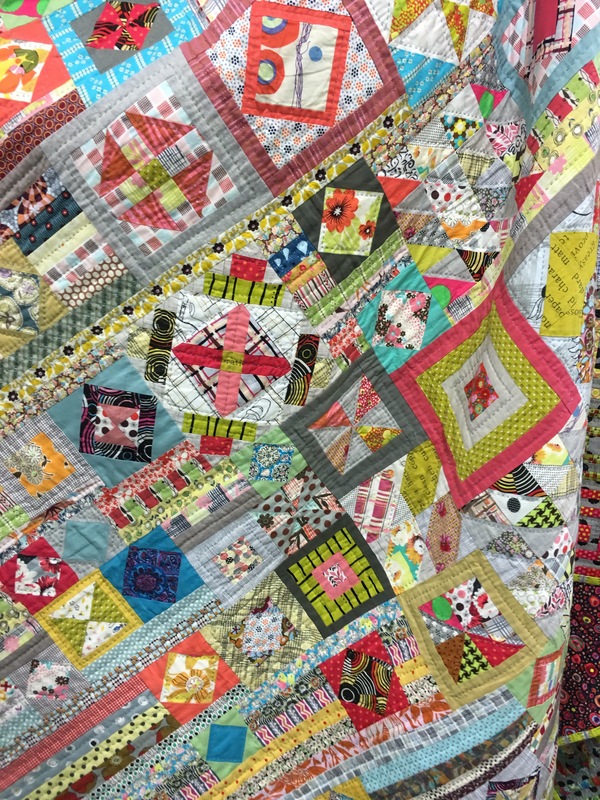 Quilt Market is the international quilt industry’s roll out show for the upcoming fall and winter seasons. 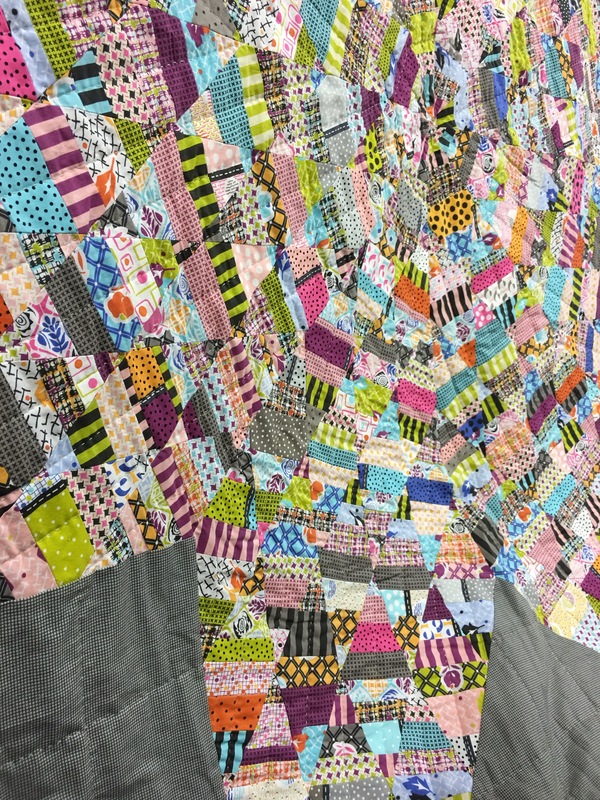 Fabric manufacturers, their designers, notion and sewing machine companies, and pattern designers debut the things that shop owners will be buying and filling their shops with around the world. It’s an exciting time in the industry, that is repeated every spring and fall. I attended with my friend and boss, Kristen Suzuki, the owner of Circa 15 Fabric Studio in Kirkland, WA. 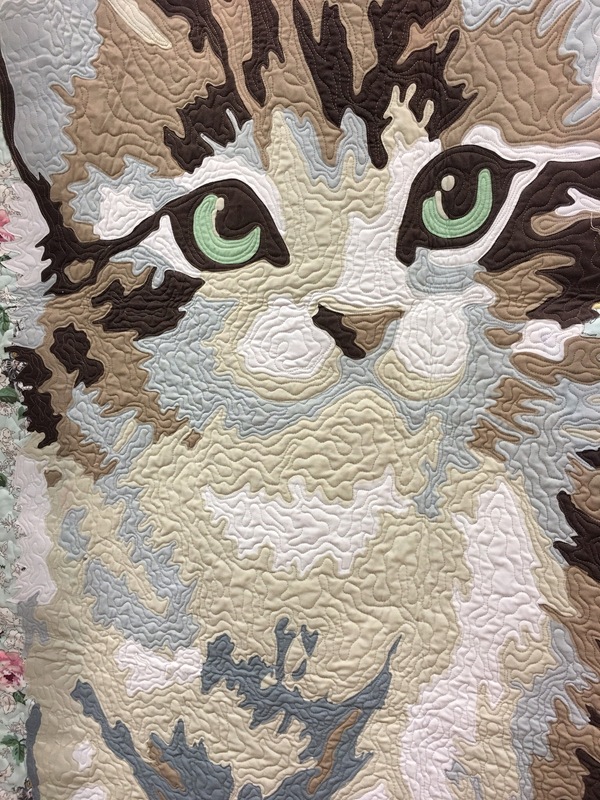 We saw many beautiful things, interesting products and patterns, and I’m going to share a bunch of them all with you in a series of posts, starting with this one. 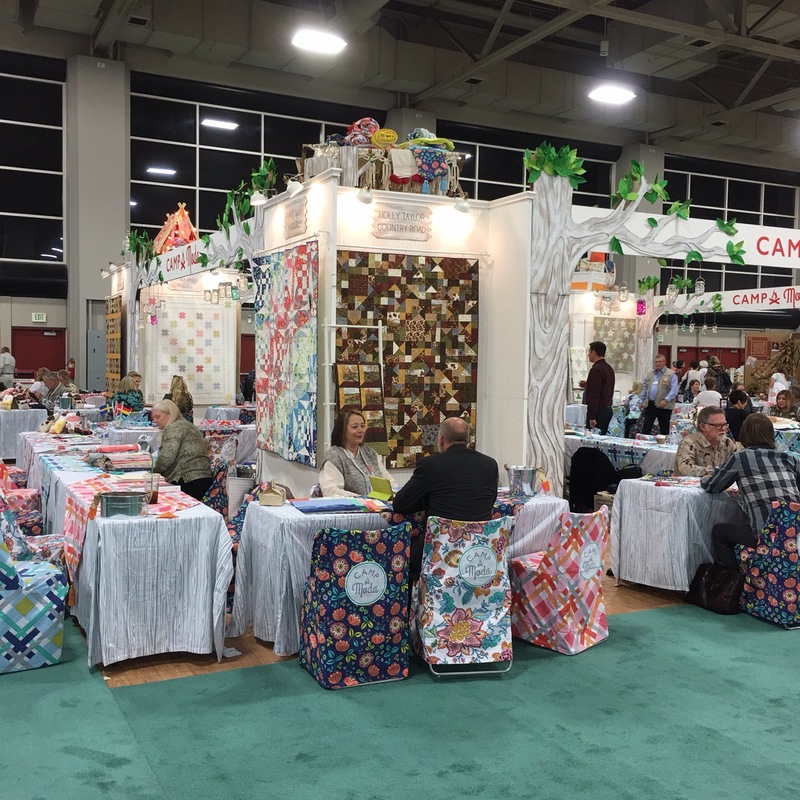 Moda didn’t disappoint with their adorable “Camp Moda” booth and coordinating Representatives in their camping gear and clothing. 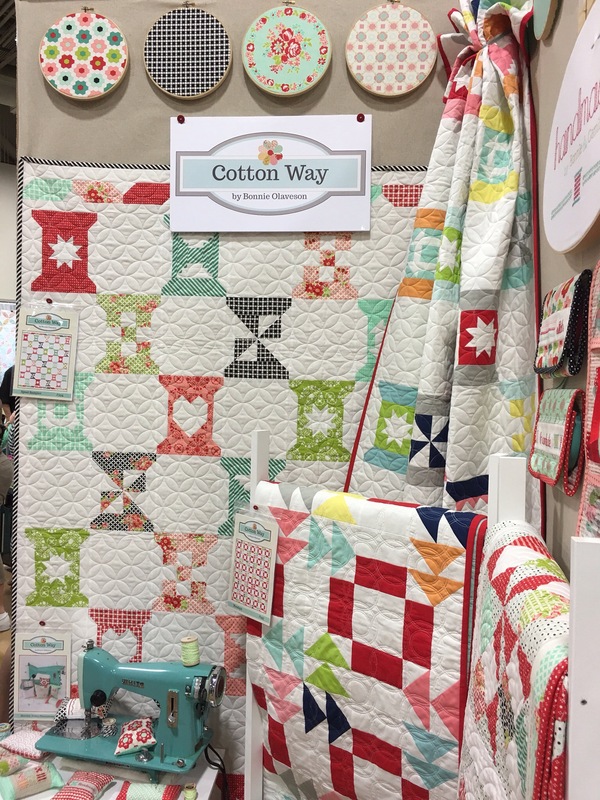 The Moda Designers’ booths with their upcoming collections debuting in quilts, bags, and other pretty things, made for plenty of eye candy. 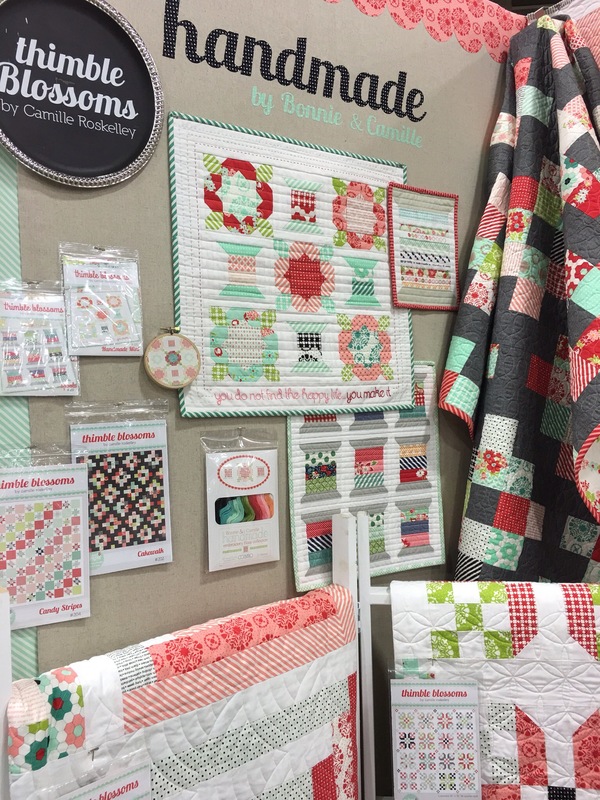 One of my favorite collections that debuted was Bonnie & Camille’s upcoming “HANDMADE”, with a welcome, yet surprising new color, BLACK! 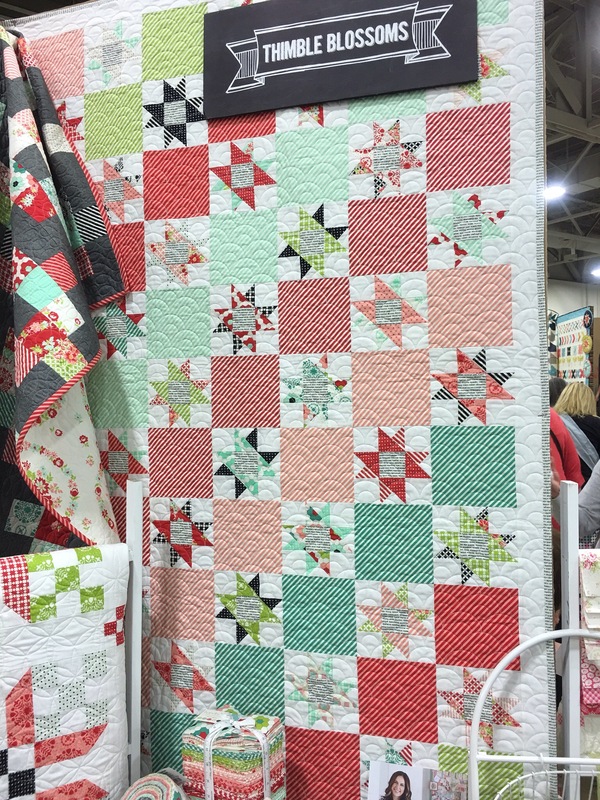 Oh my goodness, I just LOVE “HANDMADE” and was super excited when Kristen responded to the collection and some of the Thimble Blossom and Cotton Way patterns just as positively as I did and placed her order for the fabrics. 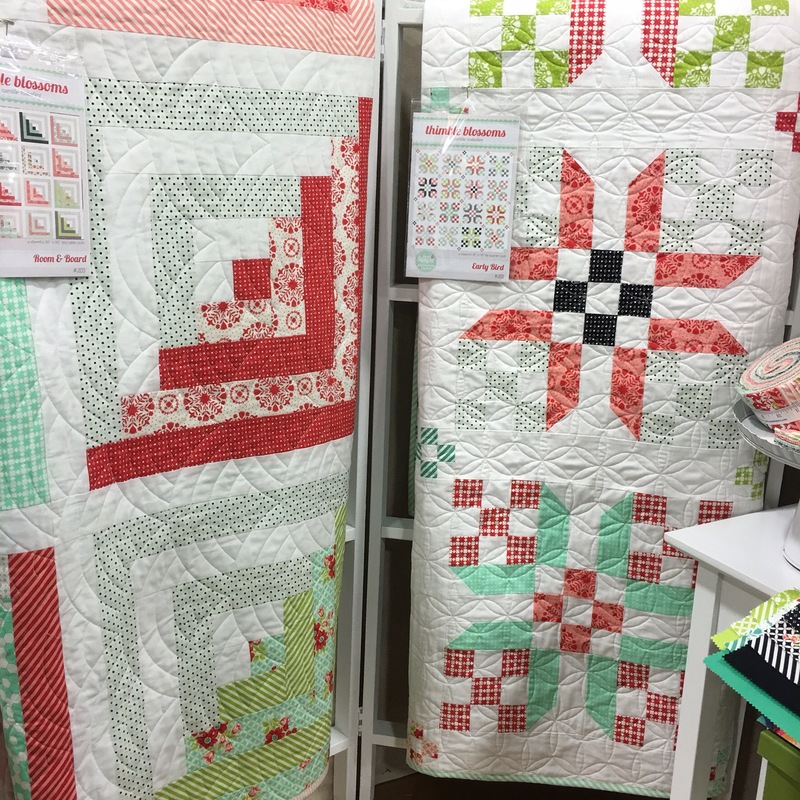 That means all of Circa 15 Fabric Studio’s customers of the shop and online store will be able to get their hands on it too! 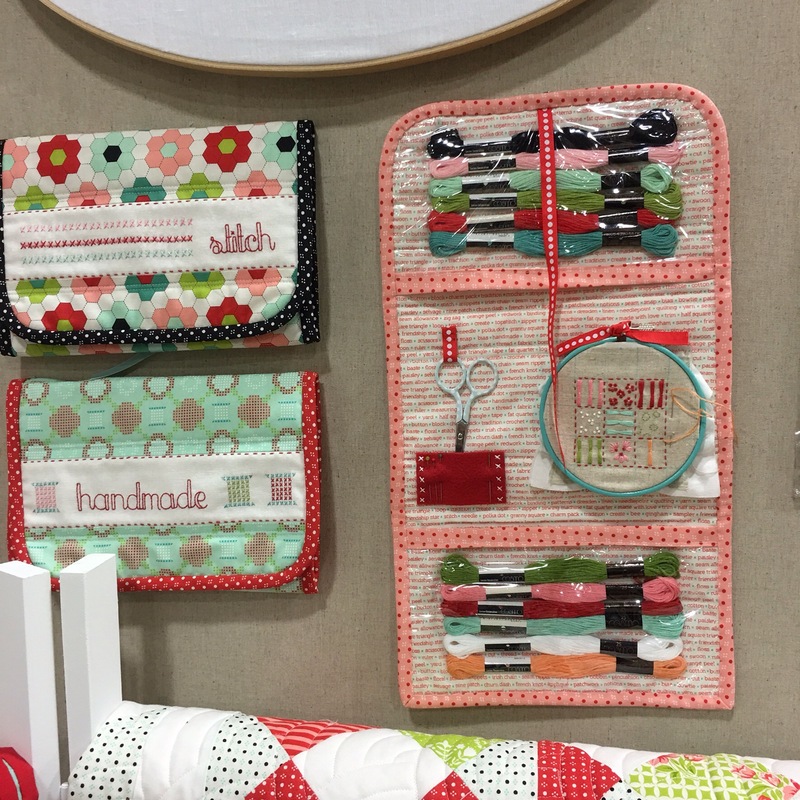 Another designer’s booth we visited multiple times through the weekend was Jen Kingwell’s. We didn’t have an opportunity to engage with Jen herself, she was super busy talking with so many people, bu we sure enjoyed our time with her charming hubby, Richard. 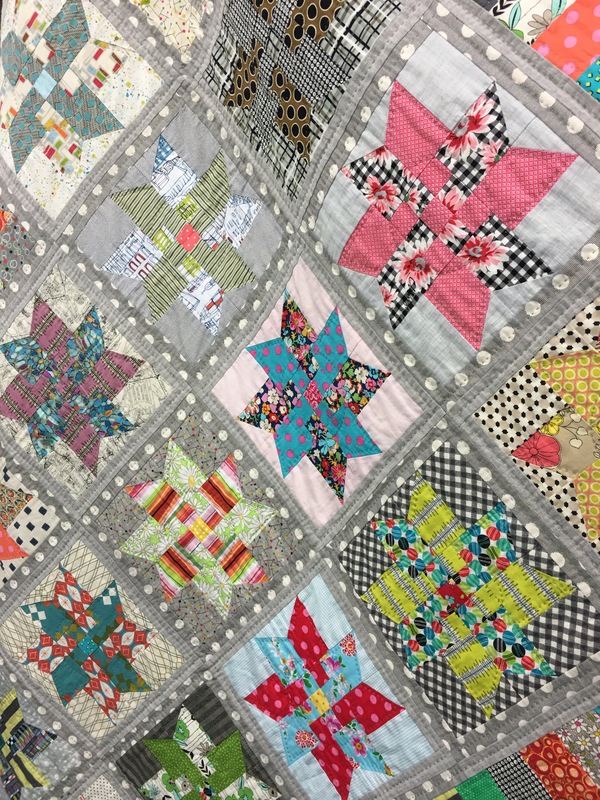 He showed Kristen and me little hidden treasures in Jen’s fabrics and how she utilized all the details of her fabrics in her quilts, like her “Lawn Star Quilt” and including the dotted lines in her “Lollies” collection that divides the prints as part of the prints themselves. Use it all people! Cutting lines aren’t just cutting lines anymore. 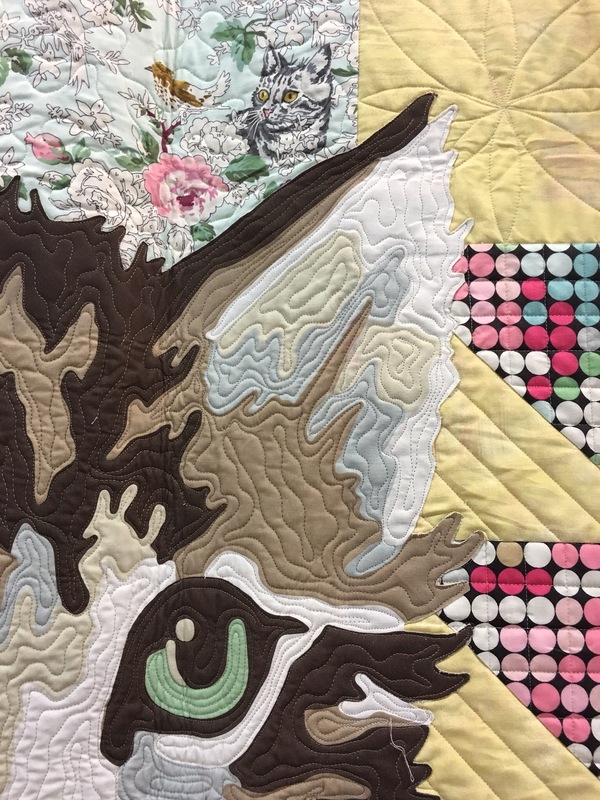 I think the most popular quilt in all of the Moda booth’s collectively was this kitten quilt by Erin Michael, from her upcoming “Meow or Never” collection. 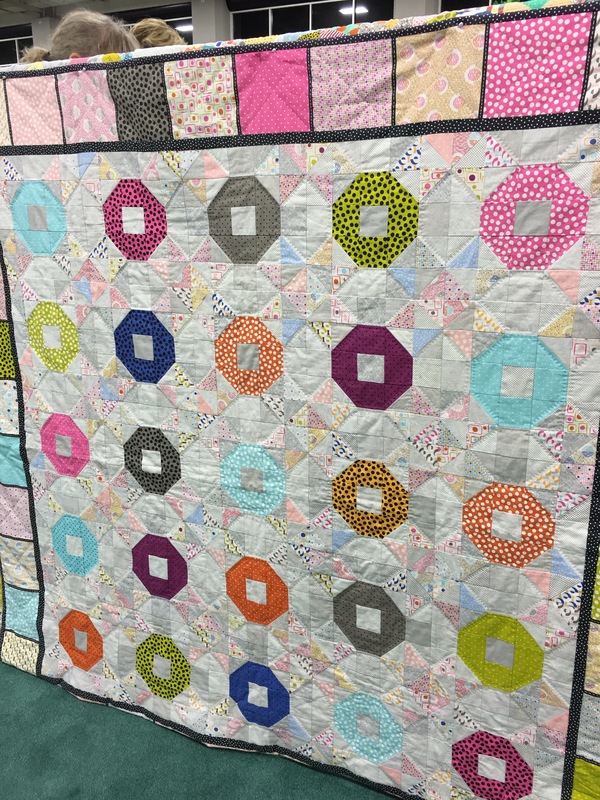 She is a kit, like last season’s popular “WILBER” the horse quilt. Erin’s clever use of paint-by-number art makes for very interesting fabric. 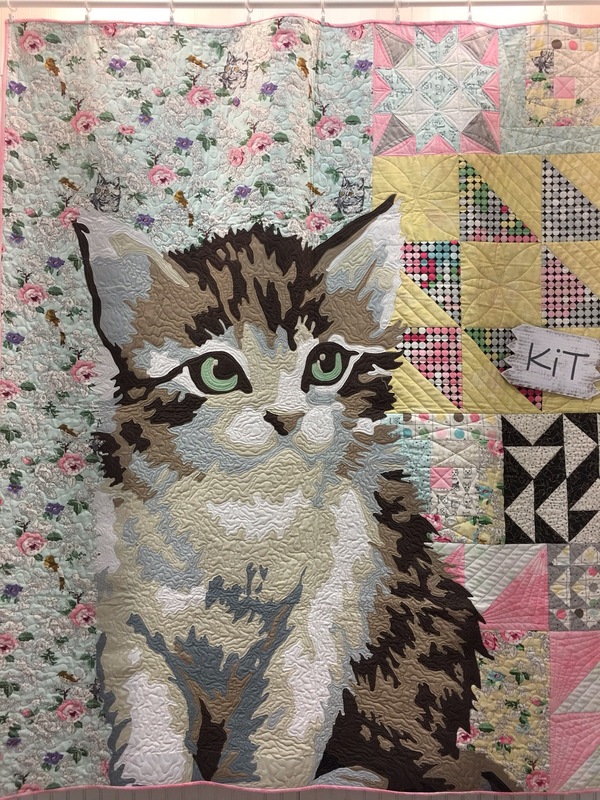 This kitten is a solid panel, not individual pieces, that is cut out of a larger piece of fabric, and using fusible webbing, is appliquéd onto the background fabrics that you have sewn together, then top stitched on in whatever way you prefer. I guess I’ll leave this post here, making it my Moda review. Check back later for more sneak peeks, my thoughts, and even more inspiration.